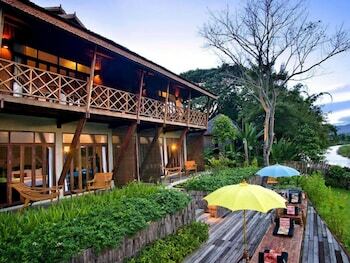 With a stay at Hotel Des Artists Rose of Pai in Pai, you'll be within a 5-minute walk of Walking Street and Wat Klang. The front desk is staffed during limited hours. Guests may use a roundtrip airport shuttle for a surcharge, and free self parking is available onsite. With a stay at The C Park Phuket in Patong (Nanai Road), you'll be within a 15-minute drive of Patong Beach and Bangla Road. Featured amenities include luggage storage and laundry facilities.